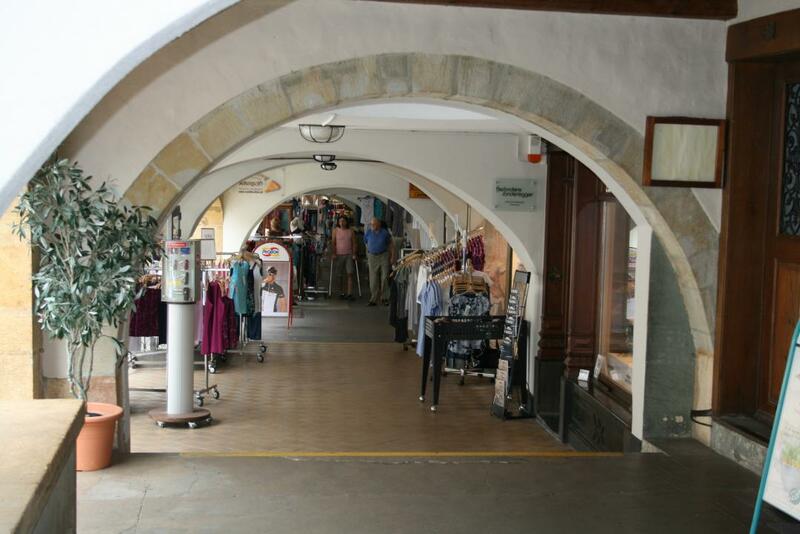 Here is a marvelous view of the Baroquestyled town of Murten, enhanced by the various arches, giving way to the arcades. In 17th/18th century it became a masterpiece of architecture. Every house has its very own history; such as the “Schwarzen Adler” (Black Eagle), the oldest hotel in Murten. Its construction on the main street side consists of two 16th century houses that have been merged. It is easily recognizable by its wrought iron sign. Even today in Murten, business signs must be kept simple. Neon lit signs have been banned, helping to maintain the old town’s charm.